A draft global strategy for early childhood development was published this month for consultation. The Nurturing Care for Early Childhood Development framework is coordinated by WHO, UNICEF, The Partnership for Maternal, Newborn & Child Health (PMNCH) and the ECD Action Network (ECDAN). In the strategy document, the role of fathers is to “be involved” and “take on child-care responsibilities”. There is no reference to a father-infant bond. The Framework does recognise other carers than mothers. It has many references to “parents” and to “caregivers” and one reference to “family-centred” care. Fathers are mentioned several times: they are affected by depression, they need time off work, they need to be involved by services, fathers’ groups are needed for violent men, and future fathers need good education. Only the mother bonds with the baby. Family members and services facilitate this. “Kangaroo Mother Care” only is important for premature babies. Only mothers should receive information and support about breastfeeding. Only poor mental health on the part of mothers is significant for child development and only mothers should receive mental health support. Paid parental leave supports “bonding between mother and baby”, whilst it supports fathers to “take on more child-care responsibilities”. “Women and families” or “women and communities” need to be empowered for improving Nurturing Care. Parent groups are for women only. Together with The Family Initiative, they submitted the following recommendations. Fathers have strong innate capacities to bond with, relate with and care for infants. Father-infant bonding has both a hormonal/neurobiological basis and a psychological basis. 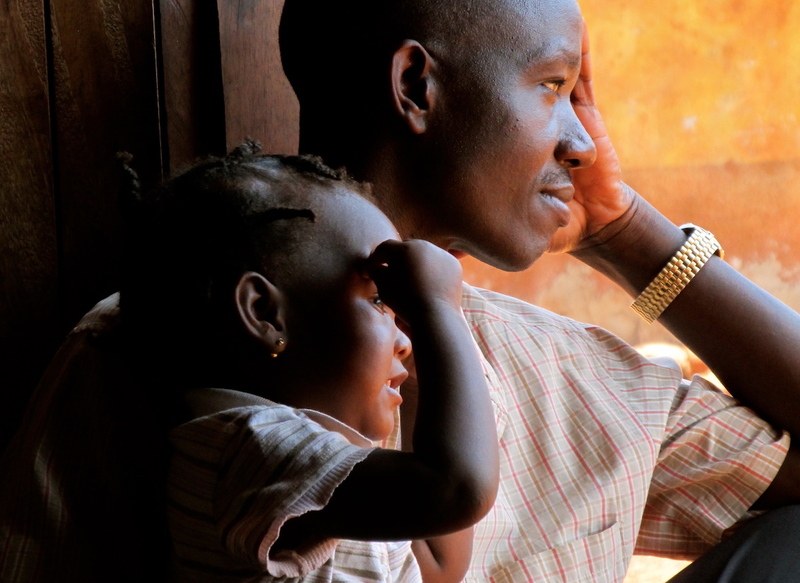 Child development improves when there is a strong father-child relationship, particularly when the child is vulnerable. The relation among caregivers is important – mothers, fathers and caregivers working together as a team – coparenting. The quality of care for children in families is fundamentally influenced by family dynamics, often to a greater extent than professional interventions. Longitudinal studies show greater long-term improvements in child social and cognitive outcomes associated with interventions based on these principles. A coparenting approach to supporting Nurturing Care. If services engage with fathers, both parents learn the importance of the father’s relationship with the child and the burden of responsibility on the mother is shared more. This is particularly important for vulnerable families with children. Supporting the parenting team in relation to breastfeeding and neonatal care has been shown to work better than only engaging with the mother. An affirmation of the role that fathers play in child development as providers of Nurturing Care, and the explanation of research evidence around it, since so many families, services and policy makers are unaware of this. Information specifically targeted at fathers, given social differences in what mothers and fathers want to know and how they consume information. Ensure men are involved in efforts to find local champions of Nurturing Care in communities. A family approach to perinatal health. The report recognises that both parents can suffer from poor mental health. Poor mental health in fathers has a negative impact on child development. Poor mental health in one parent affects the other parent’s ability to provide Nurturing Care. The replacement of the term “Kangaroo Mother Care” with “Kangaroo Care” with explicit reference to the fact that both mothers and fathers should be involved. The term, Kangaroo Mother Care, unhelpfully promotes traditional roles, reflecting rather than challenging the gender unequal social norms in many of the countries in which Nurturing Care will be promoted. Training for service providers. Most services are staffed by women and target mothers only. Providers need training in how to reach fathers, support the father-baby bond, and help families work together. This requires dealing with unhelpful attitudes and beliefs about fathers, for example, that they all pose risks for mothers and children or that father-infant relationships are unimportant to child health and development. Policies to allow fathers time and resources to bond with their babies from the birth and to provide Nurturing Care.